Bill Cosby, one of the world’s most influential male actors has been accused of sexual assault on Sept. 24, 2018. 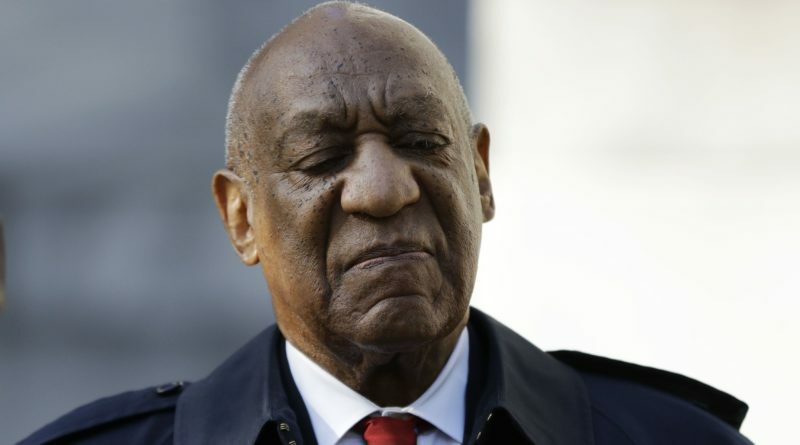 Cosby was convicted on three felony counts for drugging and sexual assault on Sept. 24, 2018. He was found guilty for assaulting Andrea Constand in his home in 2004. The 81-year-old accomplished actor, writer, activist, husband and father of five is now serving a 3-to-10 year sentence for drugging and sexual assaulting a victim nearly a decade ago. Cosby’s family failed to appear with him at his 2-day hearing in Pennsylvania, he was sentenced 3-to-10 years with no bail appeals. Cosby was handcuffed and right after his sentencing and was not allowed to return home. Since his imprisonment, he has been in the news lately for things happening to him while behind bars. Cosby indeed had several lawsuits filed against him for claims of sexual assault even before the year of 2015. However, it is also true that many cases were being built against him before the year of 2016. He was accused and even admitted to giving Quaaludes to women before the 1990’s to encounter in sexual acts. The same year and within the next couple of years, many women started coming forward and accused Cosby of inappropriate behavior, sexual assault and sexual misconduct. In fact, the woman responsible for Cosby’s conviction is perhaps a powerful women’s attorney, Gloria Allred. Allred is an attorney that specifically specializes in sexual assault and misconduct cases against some of the most powerful men in entertainment. When the sexual assault claims first started coming out to the public, many of Cosby’s friends and fellow cast mates quickly came to his defense, but have since made no comments. Cosby’s wife Camille Cosby, fighting against the allegations, even compared Cosby’s cases to the late Emit Till. Emit Till was a young African American boy who as a teenager was killed unjustly in the 1950s for whistling at a white woman in the state of Mississippi. Camille somehow was able to compare the two different cases to try to prove Cosby’s innocence. Many conspiracies started surfacing to justify these sexual assault cases against Cosby. Evidently, Cosby had plans to buy the NBC network and sources say that the sexual assault cases were an attempt to stop his purchase. Some of Cosby’s accusers came out and admitted to lying under oath once before his conviction. Janice Dickinson, former model and reality star was one of them. She recently admitted to fabricating stories to bring attention to herself and her new memoir that she’d be putting out later in the year. This specific case with Dickinson made the public doubt the credibility of many other cases and celebrities that had spoken about Cosby. Out of 60 cases against Cosby, the one that put him behind bars was the case against Andrea Constand. Constand had reported the incident and filed suits years prior before all the other cases were being made against Cosby. Constand’s case was seen as most credible by the judges and jury because of her string of claims and suits made over the years, and he was eventually found guilty. Most of Coby’s awards, honorary degrees and memberships of important Hollywood clubs have been revoked since his sexual assault cases started coming out to the public. Cosby has been known as one of the world’s most influential male actors. Cosby claimed his way to fame in the 1960s as an up-and-coming stand-up comedian in San Francisco. Once Cosby’s career took off, he went on to do things like act, write books and became an activist for civil rights and equality. One of Cosby’s most influential TV roles was him playing Dr. Huxtable on “The Cosby Show.” Over the years, Cosby has achieved many honorary degrees, a star on the walk of fame and many activist awards and a variety of recognitions.